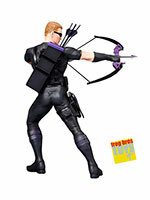 Kotobukiya's line of ARTFX+ statues based on Marvel Comics continues with the Hawkeye NOW! ARTFX+ statue! Hawkeye joins the Hulk, Captain America and the rest of the Avengers in this impressive series of statues based on the artwork of Adi Granov! 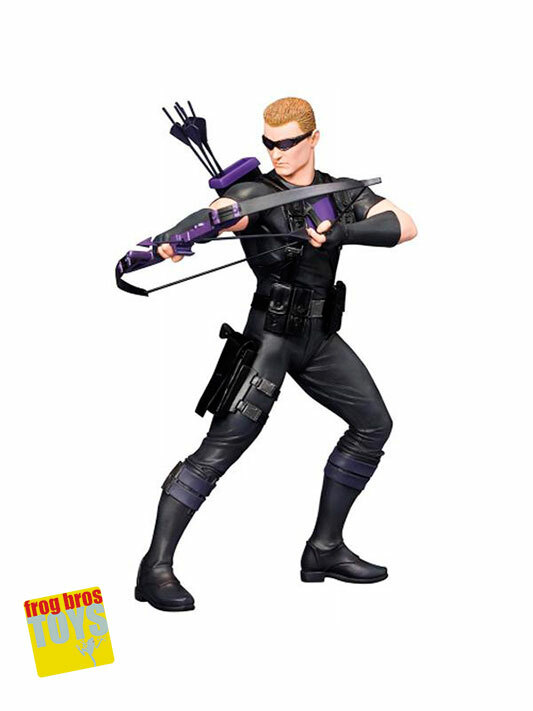 Hawkeye stands in an action pose, ready for battle with his bow in hand. 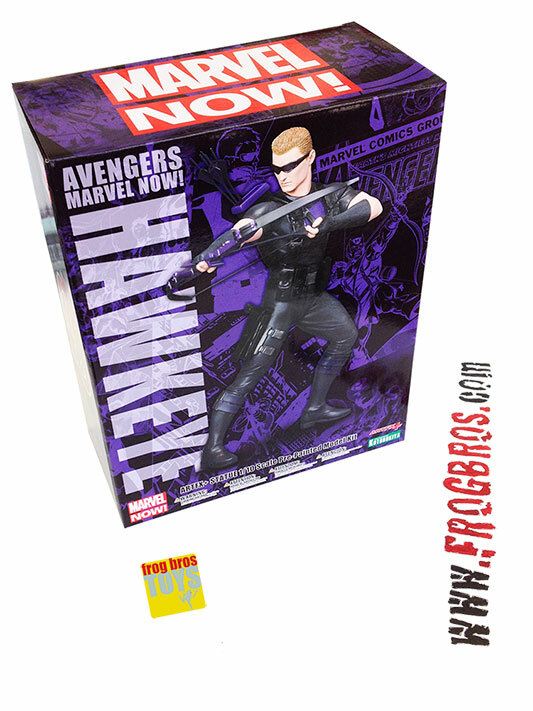 Display alone or along with the rest of the Avengers NOW team! Approx 7.5 in (19 cm) tall. Based on the artwork of Adi Granov.